Louisiana’s “number 1” crop is wood fiber in the form of southern pines. The most economical means of growing these trees is in a semi-monoculture of Southern Pine Plantations, the Tree Farm. Through modern times this practice has come under the attack of novice environmentalists, property taxes, and pine beetles. My encounters with novice environmentalists of the 70’s was they did not like the appearance of “strait rows of trees”, but otherwise they could not define a valid reason for environmental harm in growing pine trees, which existed here since the last ice age. However their efforts did aid in one of the largest southern pine beetle outbreaks in Kisatchie National Forest, and on surrounding areas. Instead of taking measures to control the outbreak, “Let Nature take its course” lead to a temporary decimation of some of the most beautiful pine forests in the South. As I walked through miles and miles of Kisatchie hiking trails surrounded by dead snags of fire and beetle destroyed forest, my spirit was depressed. This type of terrific destruction and waste was preventable, if foresters were allowed to manage the forest. A checkered clerid beetle attacking a bark beetle. Photo by USDA Forest Service. After the 70’s, logic and science replaced some of the chaos of Mother Nature’s bad side and novices. J. D. Reeve and many other USDA Forest Service researchers have done a tremendous job of unraveling forest ecology of the Southern Pine Beetle with published articles: “Predation and bark beetle dynamics” (1997), “Complex emergence patterns in a bark beetle predator” (2000), “Artificial diet and rearing methods for Thanasimus dubius, a predator of bark beetles” (2003), and “Geographic variation in prey preference in bark beetle predators” (2009), and numerous other articles. For these scientists, we owe gratitude and thanks for their life-time efforts in modern understanding of bark beetles. “Southern Pine Beetle II”, USDA Report SRS-140 (Nov 2013, 522 p.) can be downloaded free of charge to your iPad, computer or a printed copy can be purchased. This wealth of information is invaluable to foresters and tree farmers as it delves into details of the tree host, pine beetles, and the predators and parasitoids of pine beetles. We have understood that trees under stress from high density stands, disease, flooding, drought, storms, or mechanical damage are most susceptible to SPB attacks. The next phase of research, already in progress, is to artificially rear SPB predators that can control outbreaks. Another topic of research is to understand and establish healthy endemic populations of predators that naturally curve bark beetle outbreaks. This may include having annual food plots for omnivorous (nectar/pollen – bark beetle) predators, or perennial shrubs and hardwoods that provide habitat for a diverse variety of insects within a pine plantation. The predators of bark beetles must have a food supply when they are not feeding on SPB, Ips, and other tree pests. Property taxes can be as devastating as Southern Pine Beetles and hurricanes to the family owned tree farms. In recent years the profits have decreased to record lows while federal, state, and parish taxes have increased. This tax pressure has helped erode productive agricultural land into fragmented suburbia. If the trend continues, our forest and forest industries along with clean water and wildlife habitat will disappear as it has in many other communities in the United States. It is common for additional recreational and school taxes to be passed with ease, for property values above $75 k, while owners of lesser property pay nothing. It is not only the big box stores that get hit with these taxes. It is family farms, too, that get punished with these unfair taxes. If all citizens want a remote sidewalk around a barrow pit, then everyone should have to pay, not just productive property owners. If a school needs additional tax funds, it should also be a joint responsibility of all citizens that vote to contribute. Growing trees is a long term investment that requires a minimum of 12 years before a return comes in. However pests of all types take their toll from the day the trees are placed in the ground. While science provides us with understanding and a hopeful future, it is commonly our laws and taxes that determine success or failure. May we be reminded of our agricultural founders, Washington and Jefferson, who understood the role of past civilization’s history and destiny. Again, it is that time of the year when forest landowners are invited to attend the Southwest Louisiana Forestry Forum. Dr. Don Reed, Wildlife Biologist, will instruct deer hunters and landowners about the most productive methods of installing food plots for whitetail deer. Also, the Southwest Louisiana Forestry Association (SWLAFA) Annual Meeting will occur jointly with the Forum. This Meeting will be on Saturday, March 9th, 8 AM until 12 noon, at the Exhibition Hall, Beauregard Parish Fairgrounds, DeRidder, LA. The cost for this event is $25 per household which includes a husband, wife, and dependent children. Lunch is also included in this fee as well as a year’s membership. A registration form is included towards the back of this newsletter. Another important benefit to being a member of the SWLAFA is free admission to most workshops coming up later this spring. 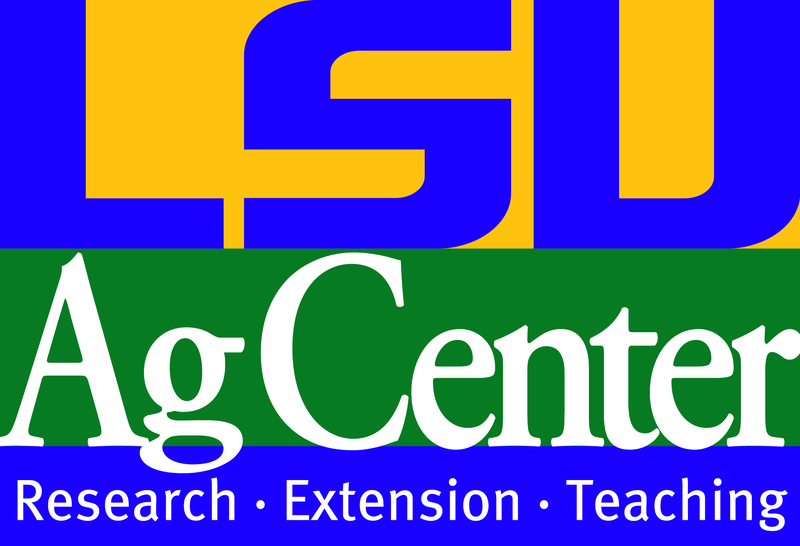 A story in the newsletter will describe other programming that the Board of the SWLAFA had requested from the LSU AgCenter. STATE OF LOUISIANA FORESTRY: Mr. Buck Vandersteen, Executive Director of the Louisiana Forestry Association (LFA), will make a presentation about the state of Louisiana Forestry. Buck is also very knowledgeable about upcoming forestry issues which our State and National Legislators will confront. The LFA provides an insurance program for landowners and hunt clubs, and these comprehensive general liability policies offer a $1 million dollar policy per occurrence with a $2 million aggregate with no deductible. Both the landowner and the hunt club will receive a certificate of insurance. As always, Buck welcomes questions from attendees about forestry, landowner insurance and related topics. FOOD PLOTS FOR WHITETAIL DEER: Dr. Don Reed, AgCenter’s Wildlife Biologist, wrote Food Plot Plantings for White-tailed Deer in Louisiana, a publication to assist hunters and landowners in producing forage suitable for our native deer. Dr. Reed will describe the optimal methods for raising food plots. Also, Dr. Reed will be available to answer question regarding other aspects of wildlife Management. ASSISTANCE FOR FOREST LANDOWNERS: Mr. Corby Moore, our local Conservationist with the US Department of Agriculture (USDA) will share the latest information about programs to help forest landowners. Some of those programs help with longleaf pine reforestation, hardwood tree planting, and other practices can help with controlling invasive exotic plants. Some programs allow for landowners to improve their wildlife habitat. The USDA provides financial resources to enable good forest and wildlife management. SOUTHERN PINE BEETLE (SPB) UPDATE & NON-NATIVE FOREST INSECTS AND THEIR POTENTIAL INFESTATION: Where is the SPB? What are they doing? Will their number explode soon? Dr. Tim Showalter will talk about what SPB is doing and what the future will hold regarding this important pest of southern yellow pine trees. Dr. Showalter will also apprise forest landowners of other forest pests which may cause economic problems for Beauregard Parish and other timber locations in Louisiana. UPDATE: EUCALYPTUS FORESTRY IN SW LOUISIANA: SW Louisiana, especially around Merryville, LA, is home to several thousand acres of eucalyptus which will provide wood fiber for paper manufacturing. Dr. Mike Blazier, an AgCenter Forestry Professor, has conducted herbicide trials on eucalyptus plantations in Beauregard Parish and can describe the current status of this fairly new type of forestry. Make checks payable to: “SW LA Forestry Association”. Proceeds go to Beauregard 4-H Foundation & to AgCenter adult education.